Unsafe Shreveport Abortion Clinic Will Stay Open Until Lawsuit Is Resolved US District Court Upholds Louisiana's Right to Protect Health and Safety of Its Residents Judge Betrays Public Safety, Allows Clinic to Reopen Clinic License Revoked for Unsafe Practices DHH Suspends License of Shreveport Abortion Clinic Legal name of abortion clinic is "June Medical Services, LLC," d/b/a (doing business as) "Hope Medical Group for Women." List of failures and plan of correction. Deficiencies & plan of correction - 21 pages. 2019 Louisiana corporate registration profile for abortion clinic. Hope Medical Group for Women vs. Anthony Keck, "Petition for Temporary Restraining Order"
Synopsis: On Sept. 3, 2010, the Louisiana Dept. of Health issued a "Notice of Immediate License Suspension" to Hope Medical Group for Women, suspending their license to operate an abortion clinic, based on multiple medical violations. The clinic petitions for a temporary restraining order against the license suspension. Abortion clinic lab procedures document -- lab director is abortionist Dale Bauman. See page 23. June Medical Services, LLC (aka Hope Medical Group for Women abortion clinic) sues the state of Louisiana over abortion regulations. 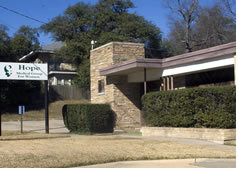 One person has complete ownership of June Medical Services, LLC -- aka Hope Medical Group for Women abortion clinic.